When it comes to Look Through Company (LTC) there are a lot of Accountants who are confused by the LTC and inform their clients to avoid using them. This is due to a lack of knowledge about the LTC and not investing in understanding what LTC really means. At GRA we have invested a lot of time and money to understand Look Through Company. This wasn't so we can impress other accountants but to make sure not only our clients but our future clients like you actually get the right advice about whether LTC would be suitable for your particular structure. It's a bit like your doctor recommending the incorrect drug for the illness. You wouldn't put your health at risk so why put your wealth at risk. 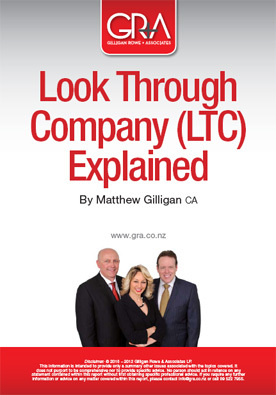 To help you start your investigation into LTC download our FREE ebook "LOOK THOUGH COMPANY (LTC) EXPLAINED". Then read the information below and decide if you would like to request a meeting with us. What ever you do, seek professional help with an accounting firm that understands Look Through Company (LTC), because its a costly business if you get it wrong. At GRA we want to make sure you get it right, first time. Losses were able to be attributed to shareholders and claimed personally at personal tax rates, which could have been as high historically as 39%, but profits were able to be trapped in the company and taxed at the company tax rate which was either 33% or 30% at the time. 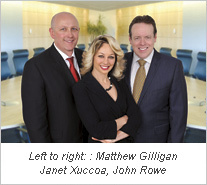 There was no cap on the amount of losses able to be claimed by a shareholder of an LAQC. Shareholders of an LAQC were able to take advantage of tax losses that might be funded through debt, but then not suffer any corresponding remission income if the debt happened to be written off after the LAQC election was revoked. There were also concerns around the complexity and the rigid nature of the LAQC election rules. The company is transparent for tax purposes. This means that tax profits or losses that would ordinarily be returned by the company are in fact returned by the shareholders in proportion to their shareholding. From a technical perspective, the shareholder is regarded as having derived the income and incurred the expenditure of the LTC. There are very complex loss limitation rules in place that seek to limit the amount of tax loss a shareholder of an LTC can claim to the extent of their investment in the LTC. The rules' complexity derives from the complicated formula that one must apply in order to work out what a shareholder’s owner’s basis is. This is the description of the exposure that a shareholder has. Broadly speaking, the principle is to ensure that if the most a shareholder of an LTC can lose is $100, then the most they should be able to claim from a tax perspective is $100. The movement of shares in an LTC is regarded as the movement of the underlying property. This means that if the LTC owns revenue account property there may be a taxable gain on movement of the shares. Further, if the LTC owns depreciable property, there may be depreciation recovery. That said, there are exemptions and de minimis thresholds. As an LTC is a disregarded entity for tax purposes, some of the rules that ordinarily apply to companies do not apply to LTCs. For example, shareholders cannot draw shareholder salaries that are exempt from PAYE. Furthermore, there are restrictive rules around when even a PAYE salary can be claimed for tax purposes in an LTC. Aside from tax, an LTC is just an ordinary company. This means that from all other legal perspectives you have a company with limited liability and subject to the ordinary company legal framework. There have to be five or fewer shareholders. As with many elements of the LTC rules, this in itself is not straightforward as there are aggregation rules that allow certain related shareholders to count as one shareholder. 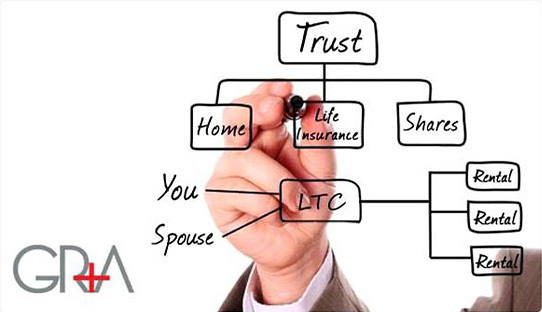 All shareholders of an LTC must be natural persons, trusts, or other LTCs. An LTC election needs to be filed within the appropriate time frame. This varies depending on whether the company is new or existing. The company cannot be regarded as a foreign company. This means that the company not only has to be tax resident of New Zealand under domestic legislation but it also needs to retain that tax residency in New Zealand after the application of any relevant double tax agreement. In summary, the LTC rules are relatively complex but offer a useful tax structure for a wide range of potential uses including holding loss-making property investments, carrying out joint venture business activities between two to five business partners, cross border investment where an ordinary company structure might give rise to two layers of taxation (i.e. once at company level and once at shareholder level) etc. It's our passion and expertise that has helped thousands of Kiwis, expats and migrant property investors to minimise tax and increase their net worth. That's why when the proposed 2010 tax changes to the LAQC regime were announced to the property investment community, including professional CA firm's like ours, we made it our mission and duty to understand the legislation and all its implications. LAQCs are no longer the right fit for property investors. Have you made the switch?